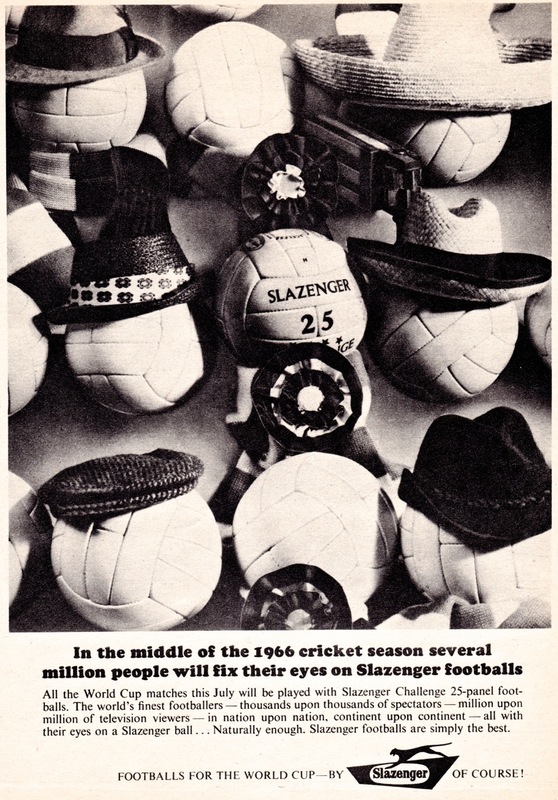 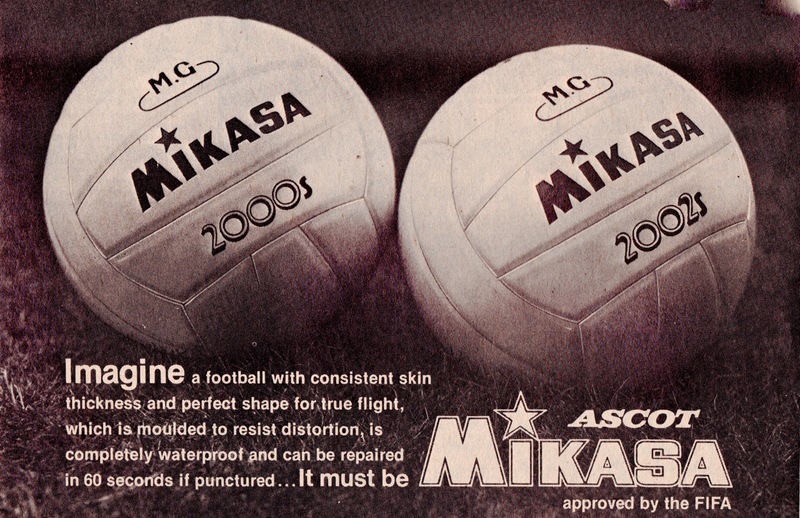 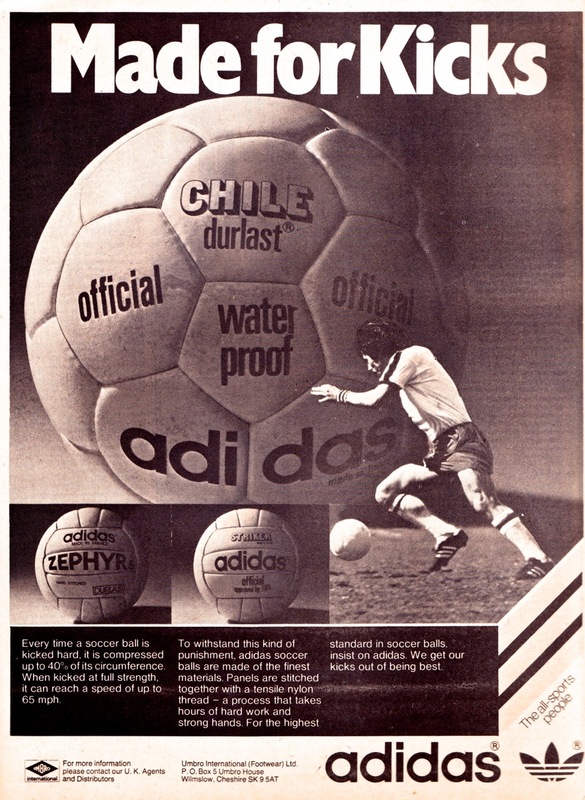 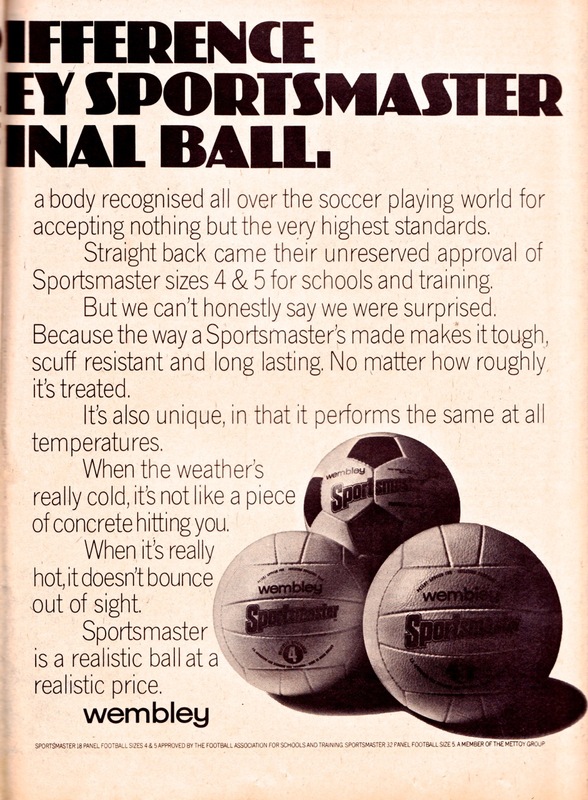 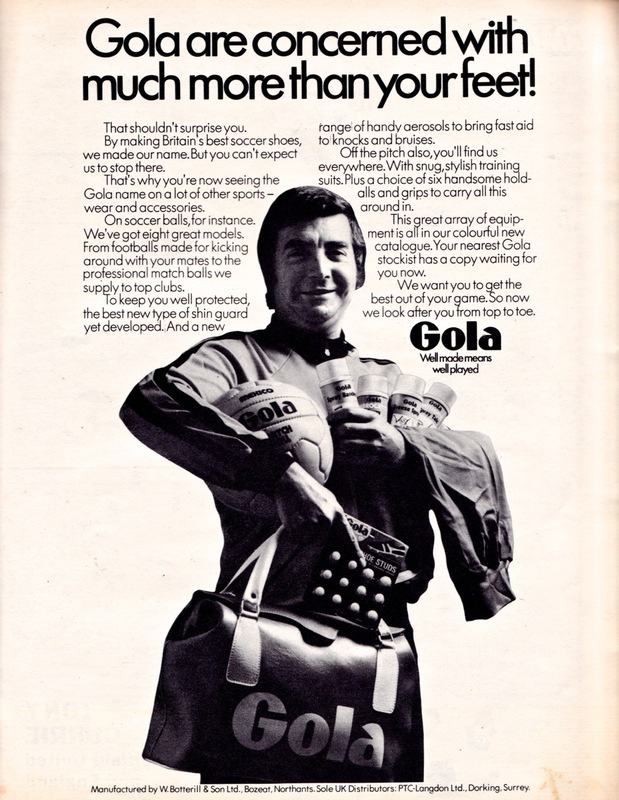 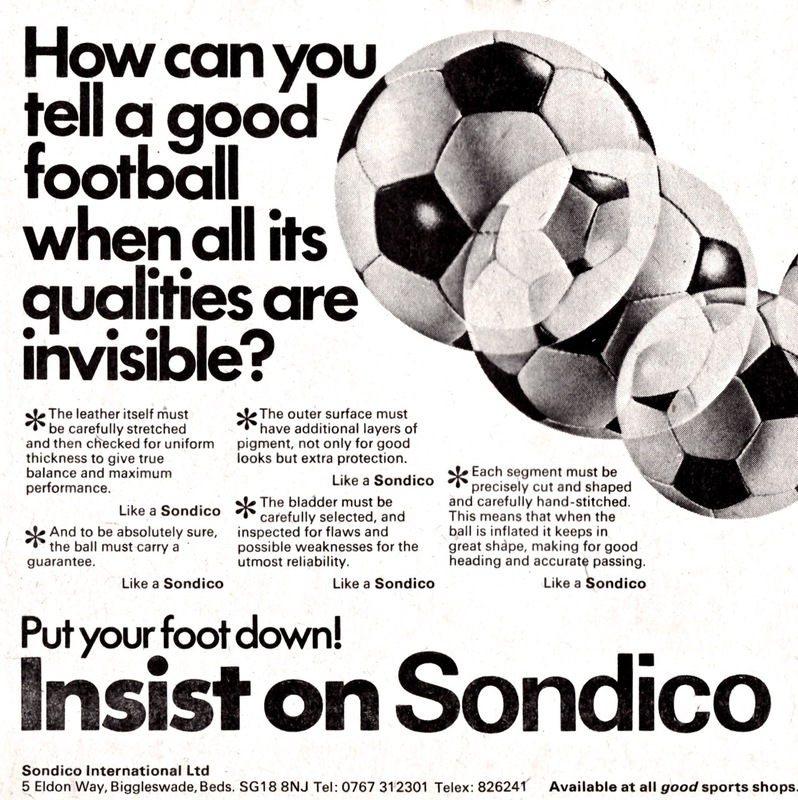 The final post in our A Lot Of Balls series gathers up more football replica advertising from the 1970s. 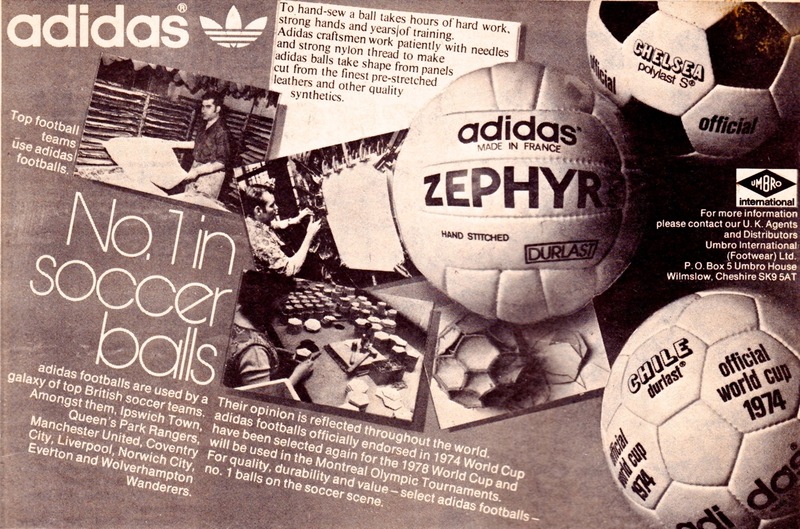 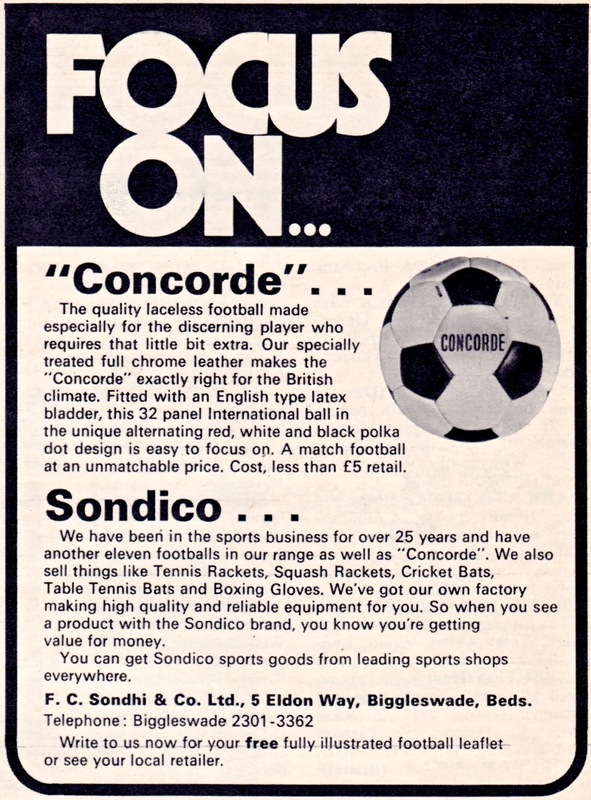 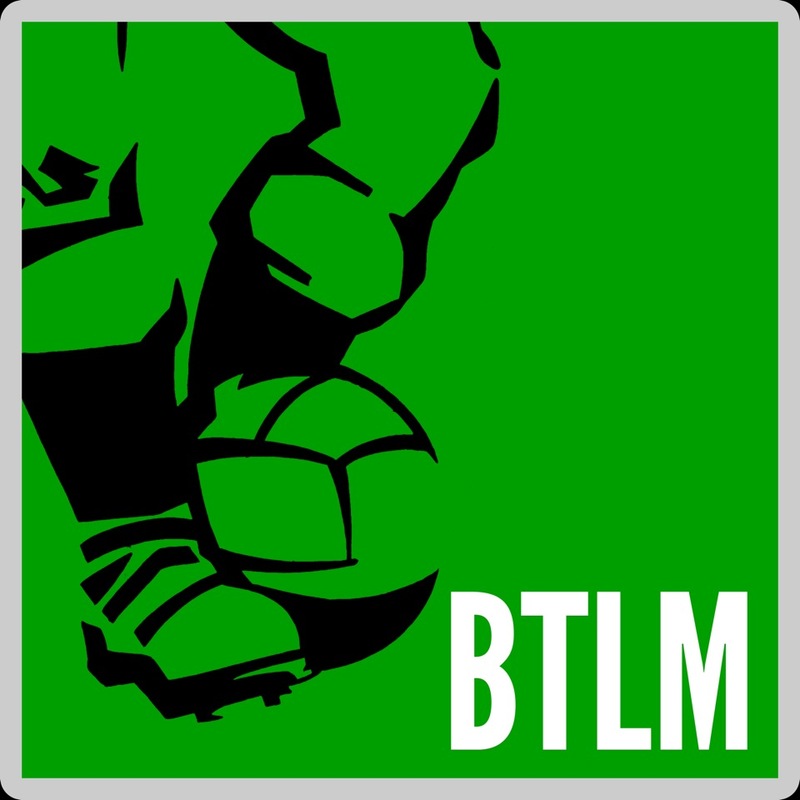 There’s new players in the market including Ascot, Sondico, Gola and, most ominously, Adidas who were in the early years of what would ultimately be a successful campaign to dominate the replica ball market. 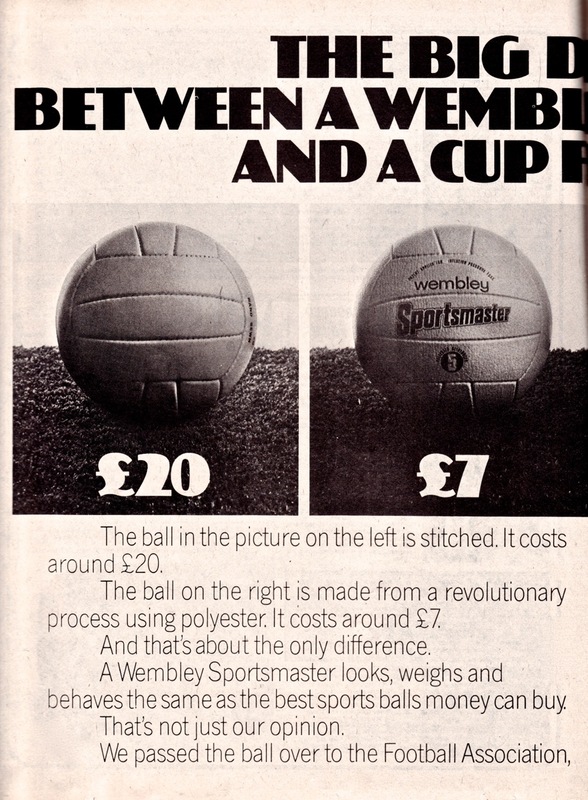 The Wembley brand had moved their focus from vinyl to proper leather footballs and their adverts for the Wembley Club Trainer were splendidly serious affairs. 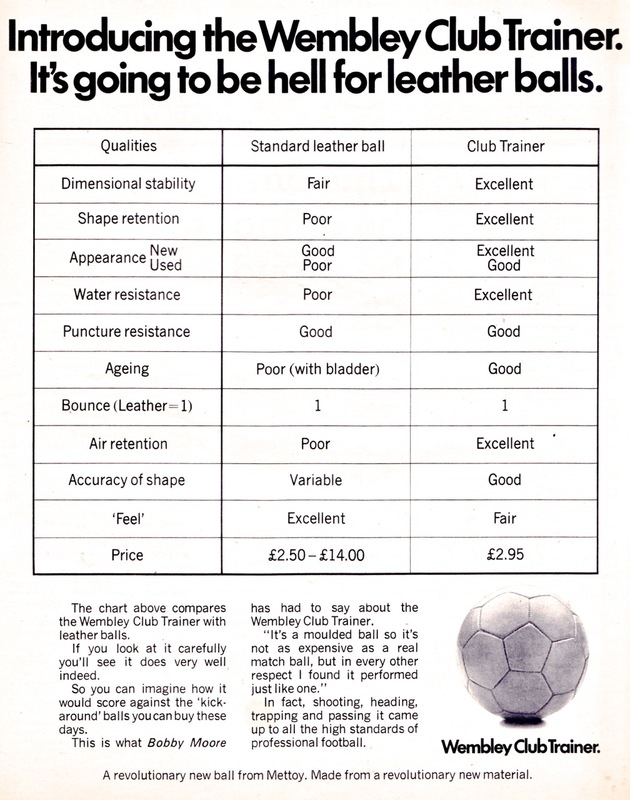 One of them attempts to use a benefits comparison table to show how their balls were ‘scientifically’ better than those of their rivals. 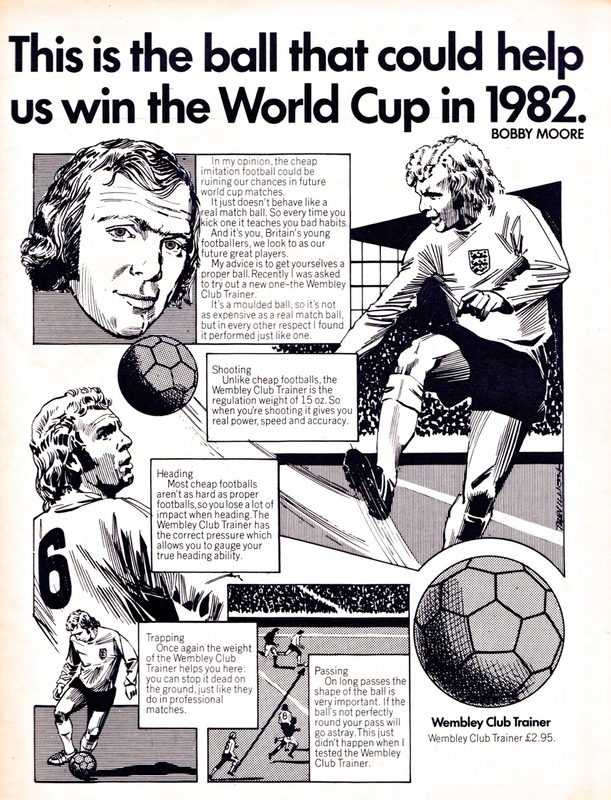 We are especially taken by their Bobby Moore affiliated ad that reaches enormously in suggesting that use of a Wembley ball could ultimately help England to future 1982 World Cup success.